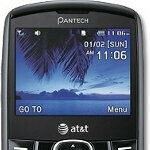 The Pantech Link II quick messaging phone has just arrived at AT&T and offers basic functionality and a full keyboard at a budget friendly price of $9.99 with a two-year agreement. The Pantech Link II is a follow up device and packs many of the same features as the original and maintains the same form factor. It is a slab-style, portrait-oriented device with a full QWERTY keyboard that sits below the display. 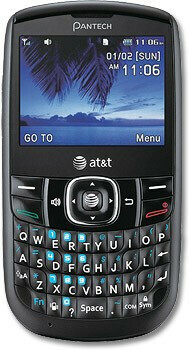 It has a 2 megapixel camera with zoom and has support for Bluetooth. It is available now and can be had for $9.99 with a two-year agreement after a mail-in-rebate. Not a bad deal if all you need is a device for sending a bunch of text messages. You do realize that smartphones cost an extra $15 or $25 a month for their required data plans? Although this costs $10 and should be free, it also means that people who don't want a smartphone don't have to pay that extra monthly fee which can really add up. I mean for a smartphone the costs are anywhere between $180-$300 a year on AT&T. The price goes up if you have Verizon. Sprint although they have unlimited data, if you get a family plan you are paying more than AT&T and Verizon for a family of 4.
not to mention the extra 10 bucks a month you are paying for that smart phone. that is 120 bucks more a year more you are paying if you have a smartphone. Some people don't need/want these luxuries.